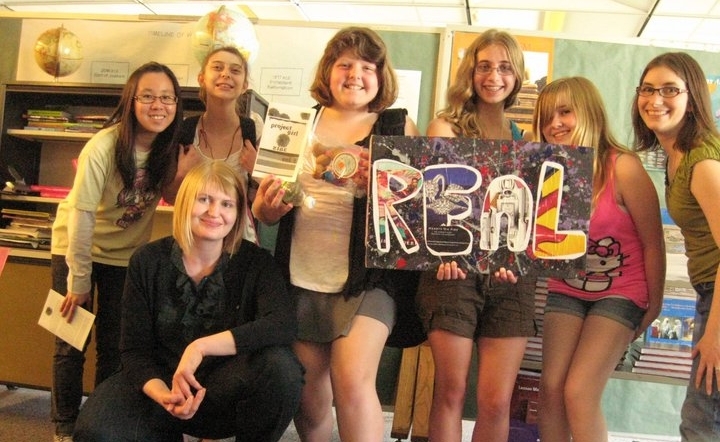 Project Girl is a national girl led initiative that combines art, media literacy, and youth led activism into a movement aimed at encouraging young people to be more critical interpreters of this world. Project Girl is about art. Project Girl is about activism. It is about being the change that we need to see in this world. Project Girl is a movement, a girl led revolution! Mostly it is a celebration about what girls care about. Project Girl seeks out ways to shake up the status quo and promote youth voices throughout communities all across America. Social action connects us all with our communities and it gives us a sense of meaning and purpose. We need you to join us and be a part of this important change. Be involved in something big that will make a difference in your life and, more importantly, in the lives of others. Project Girl expects youth to be the reformers…we believe that they are the solution.